It’s very tough for us North Americans to imagine Mary and Joseph trudging to Bethlehem in anything but, as Christina Rosetti memorably described it, “the bleak mid-winter,” surrounded by “snow on snow on snow.” To us, Christmas and December are inseparable. But for the first three centuries of Christianity, Christmas wasn’t in December—or on the calendar anywhere. Western Christians first celebrated Christmas on December 25 in 336, after Emperor Constantine had declared Christianity the empire’s favored religion. 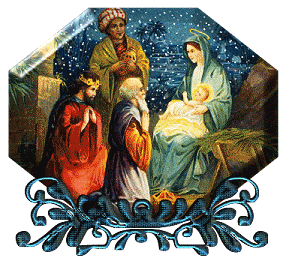 Eastern churches, however, held on to January 6 as the date for Christ’s birth and his baptism. Most easterners eventually adopted December 25, celebrating Christ’s birth on the earlier date and his baptism on the latter, but the Armenian church celebrates his birth on January 6. Incidentally, the Western church does celebrate Epiphany on January 6, but as the arrival date of the Magi rather than as the date of Christ’s baptism. Another wrinkle was added in the sixteenth century when Pope Gregory devised a new calendar, which was unevenly adopted. The Eastern Orthodox and some Protestants retained the Julian calendar, which meant they celebrated Christmas 13 days later than their Gregorian counterparts. Most—but not all—of the Christian world now agrees on the Gregorian calendar and the December 25 date. The pagan origins of the Christmas date, as well as pagan origins for many Christmas customs (gift-giving and merrymaking from Roman Saturnalia; greenery, lights, and charity from the Roman New Year; Yule logs and various foods from Teutonic feasts), have always fueled arguments against the holiday. “It’s just paganism wrapped with a Christian bow,” naysayers argue. But while kowtowing to worldliness must always be a concern for Christians, the church has generally viewed efforts to reshape culture—including holidays—positively.